On July 25, 2003, news of a new news website from the pro-polygamy view was publicly announced. The newly created service had been organized to distribute the actual, factual, and real news and views to the media about, of, from, and by UCAP, unrelated consenting adult polygamy. Today marks the 15th year since that public announcement. The site went public with four initial articles. 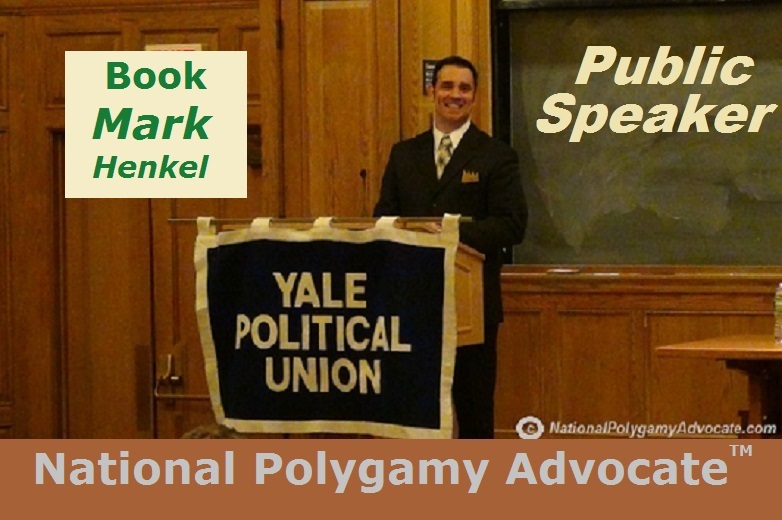 The very first article, donated by National Polygamy Advocate ™ Mark Henkel, had already been published two years earlier in 2001 in a West Virginia newspaper, The Intelligencer. That donated article was followed by three new articles. The web-site's original design was intended to be straightforward, displaying black-text on a white background. This intentionally simplistic design included no pictures in order to direct readers to remain focused on content. A news distribution system was also developed as a means by which to deliver such news to the media. In August, 2015, to keep up with the social media "site sharing" trend when readers "share" links, the site began adding the topical "one-pic" that would appear when readers "share" articles on social media platforms. In September, 2017, to catch up to the newly ubiquitous "smartphone surfing" trend, Pro-Polygamy.com's web-design was upgraded to "mobile-ready." A few months later, in January 2018, to remain up-to-date with emerging technology, the web-site's webhosting server was maximally upgraded. Over the years, Pro-Polygamy.com has been included, removed, and re-included back again - back and forth - in the search results of "Google News." Whether by an individual employee's bias, changed "rules," or updated algorithm, these removals have happened more than once. After such removal was subsequently brought to the search engine's attention, the site would usually become re-included again. In 2017, in the wake of the growing "fake news" storm among major media, social media and search engine sites began to take "pro-active" approaches to removing what their prejudiced "algorithms" determine are "fake news." Many articles distributed to the media from Pro-Polygamy.com had already long ago called out actual "fake news," using the term, "manufactured news." Yet, articles from the very "news" sites that continue to still push anti-polygamy lies (actual "fake news") still remain listed, while recent articles from this one and only real news site from the pro-polygamy view are once again not being added to "Google News." Maybe new articles will be listed again; maybe not. Prior to this writing, though, recent real news articles from Pro-Polygamy.com were not being included. Truly, Pro-Polygamy.com has - for the last 15 years - been the only real-news source for people to learn the actual pro-polygamy view of current events and legal happenings. From its very beginning, the site has tracked and provided purposely pro-polygamy perspectives on issues that legally impact UCAP polygamy – such as tracking the rise and fall of the proposed Federal Marriage Amendment in the 2000s, marriage control, various court cases, and more. Pro-Polygamy.com distributed reports and analyses regarding significant Decisions of the Supreme Court of the United States (aka, SCOTUS), including Romer v. Evans (1996), Lawrence v. Texas (2003), Gonzales v. O Centro Espirita (2006), Utah v. Holm (declined 2007), Hollingsworth v. Perry (vacated 2013), United States v. Windsor (2013), Obergefell v. Hodges (2015), and Brown v. Buhman (declined 2017). The site published likewise down to State level Court Decisions too. For example, in Massachusetts, Goodridge v. Department of Public Health (2003), Gill v. Office of Personnel Management (2010), and Massachusetts v. United States Health and Human Services (2010) were reported. For another example, in California, Perry v. Schwarzenegger (2010), which was vacated by SCOTUS in Hollingsworth v. Perry (2013), was also reported and analyzed for its applicability to UCAP polygamy. The site has also tracked the ups and downs of the legal issue of polygamy in Canada. In 2006, a Canadian government-study recommended de-criminalizing UCAP. In 2011, a lone Canadian Provincial Supreme Court Justice bias-decided that criminalizing polygamy was supposedly "constitutional" in Canada. In 2017, another lone Canadian Provincial Supreme Court Justice found two men "guilty" of nothing else but polygamy. In 2018, that same last judge decided to sentence those two "guilty" polygamists to "in-house arrest" for less than a year (i.e., no jail time). Various known media have mentioned Pro-Polygamy.com by name, including the Wall Street Journal (Kay Hymowitz, October 18, 2004) and REASON Magazine (Jacob Sullum, March 1, 2007). This site itself also reported about TV shows that either indirectly or directly connected with polygamy issues, such as E! 's "Girls Next Door" (2005, indirectly), HBO's "Big Love" (2006, fiction), and TLC's "Sister Wives" (2010, reality-TV). Alas, too often instead, Pro-Polygamy.com has had to also expose the actually and blatantly anti-polygamy biased "fake news" of the "manufactured news" media, including ABC, NBC, and yes, even TLC in the prior decade before they reversed course - for the positive - in 2010 with "Sister Wives." When the media "reported"/mis-reported/propagandized on the criminals and cults such as Tom Green, Warren Jeffs, and the FLDS, this site distributed numerous reports, from the national polygamy rights movement for consenting adults, expressing vehement opposition to those criminals and cults as much as anyone else. Such reports made (and still make) it unquestionably evident and clear that those criminals and cults were (and still are) never part of the movement for UCAP, unrelated consenting adult polygamy. Pro-Polygamy.com also reported the genuinely historic moments for the overall movement. Four examples include (1) Pat Robertson's 700 Club's public acknowledgement of (non-Mormon) Christian Polygamists as "evangelical Christians," (2) the establishment, trademark, and religiously-neutral annual celebrations of Polygamy Day ®, (3) National Polygamy Advocate ™ Mark Henkel's persuasive keynote speech at Yale, and (4) the Christian Polygamy movement becoming 10, 15, and then 20 years old – the sub-movement that made it possible for the larger overall movement (for all forms of UCAP polygamy) to develop and advance. Celebrating these 15 years of archived history behind it, Pro-Polygamy.com has been - and still is - the one proven source for real news and views from the pro-polygamy view. Court Decisions Secure "Polygamy Rights"
August 19 - Pro-Polygamists celebrate annual "Polygamy Day"
Pro-Polygamists Celebrate 7th Annual "Polygamy Day"